Article published in the 1st International Conference Porto as City Tourism Destination, held in September 2013 in Porto. 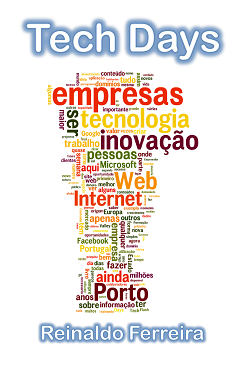 This paper discusses the challenges faced and results obtained in implementing Semantic Web technologies at TakeaCity.com, a global scale web portal developed in Porto and focused on Cities as network hubs of tourism activity. First, it starts with an overview of the technology’s adoption potential. Then it addresses an Implementation Model that measures and facilitates that adoption. Finally, it covers the findings gathered so far and the future work to be developed both in the research and economic fields. Launched August 2012, the book identifies ideas and opportunities for technology applications in business. Written in portuguese. Sold in paperback version at Amazon, in PDF for friends that ask for it. Article published in 2006 in the book Management Guide Portugal, editors Cross Culture Publishing, Susanne Muller and Duarte Branco. The original publication in German is available here. You can access here the english version (also available in portuguese). How are companies using Information Technology to develop their business? Some clues and several reading recommendations in a small article due to promote Portugal in Germany. Here's the blog where I regularly write about European Startups.